A few days ago I was locked out on the CEU rooftop. It can happen to anyone, especially during the winter months. 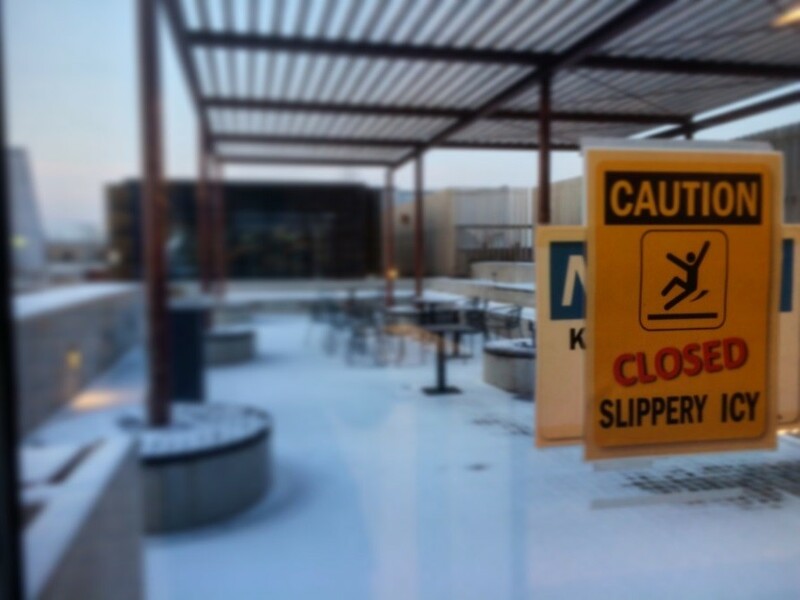 Because of the slippery ice, snow or wind, the building staff closed it off. It was -5°C and windy. I am from Russia, but still didn’t want to spend a night in these conditions. After checking all the doors and having a strange dialogue with the receptionist through intercom, I escaped. - I don’t want to enter, I want to EXIT! I really hope that the spring will come soon! 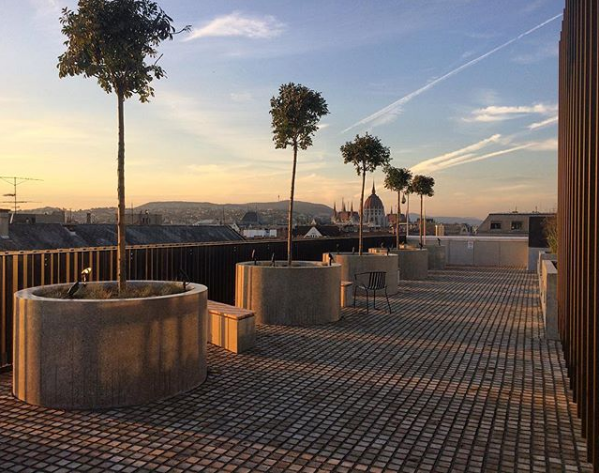 For those who don’t know, CEU’s rooftop terrace is located on the 7th floor of Nador 13 and it is without a doubt a great space for the CEU community – one of my favorite places at the university and among other Budapest spots as well. It is extremely sustainable and eco-friendly (Peter Dezsenyi explains in this video) with grass, trees and shrubs, green walls and beautiful community garden. This place is suitable for studying: it has a lot of tables, seats equipped with electricity sockets, and a good WiFi connection. It’s also not far from the library. And of course it is a great pleasure to hang out there with friends after or between classes, enjoy sunsets, sunrises (sometimes) and the magnificent view of Budapest. Take sandwiches, fruit, coffee or tea and sit in the grass to enjoy the weather. 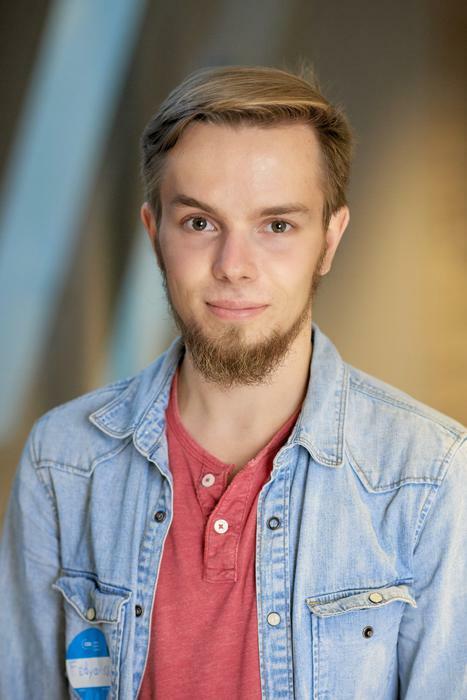 Check out Danish Ali Latif’s article, where he expresses his love for this place and explains why this rooftop is his favorite space at CEU. A bit of weather forecast. 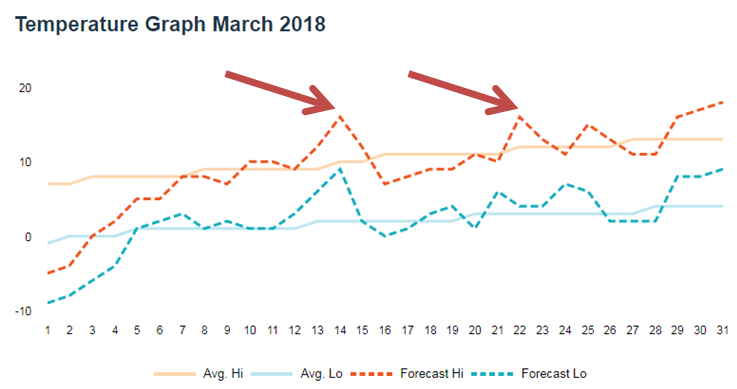 According to Accuweather we can expect 16°C on March 14 and then really not bad weather from March 22 (see the graph above). So, half a month (want to believe meteorologists) and we can enjoy our rooftop, hang out there without the risk of getting locked out. Question to think about: How can we make this place, or at least part of it, more accessible (meaning safer) and useful during winter months to give the CEU community a chance to enjoy the view and sunset constantly? By Fedor Veselov, student in the Department of Sociology and Social Anthropology at CEU.